I managed to make a dent in my purge pile this week. Not completely gone, but it'll get there. I sold 4 books on Amazon (That was $23 I didn't have!). I also took 2 big bags of "stuff" to Goodwill and gave the 5 flower pots and potting mix that I've had for a few years stored beside my clothes drier to a Freecycler. Next on my list is my once-used drill sander, my VCR and VHS tapes, and more books! These are all "in process/"
One thing I have put off getting rid of for awhile are a bunch of old electronics and media, not because I wanted to keep it, but because I didn't know what to do with it. I found several resources to begin to thin them out. I'll list those below for you. For my part, I took a bunch of old data CDs and videotapes to the DC E-cycling drop off (though the guys kinda laughed at the tiny bag I brought--most people were off-loading monitors). The major things I have are my old nonworking laptop, nonworking digital camera, and cell phone. Of course, all of these items have corresponding batteries which cannot be disposed of safely in a landfill. I am contemplating trying to sell the camera and laptop for parts on ebay. They may also end up going the way of the e-cycling center. Here are some of the resources I found. This is by no means a comprehensive list.More can be found at www.earth911.com. Printer Cartridges--Staples accepts most if not all brands, and gives credit on its Staples Reward card. Some (if not all...) post offices also have a place you can drop off spent cartridges and cell phones. HP will send mailers to customers to return its own brand of cartridges. Various--DC has its own e-cycling at the Benning Road Transfer Station (3200 Benning Rd NE...not for the faint of heart...the place is kind of scary) or at the Fort Totten Transfer Station every Saturday 8 am to 3 pm. They accept cds, dvds, most computer equipment, household chemicals, etc...check the web site, and check your own community's public works department for what they may collect. CD Jewel Cases--List these on Freecycle, Craigslist, or try your local library. My library was more than happy to accept them! 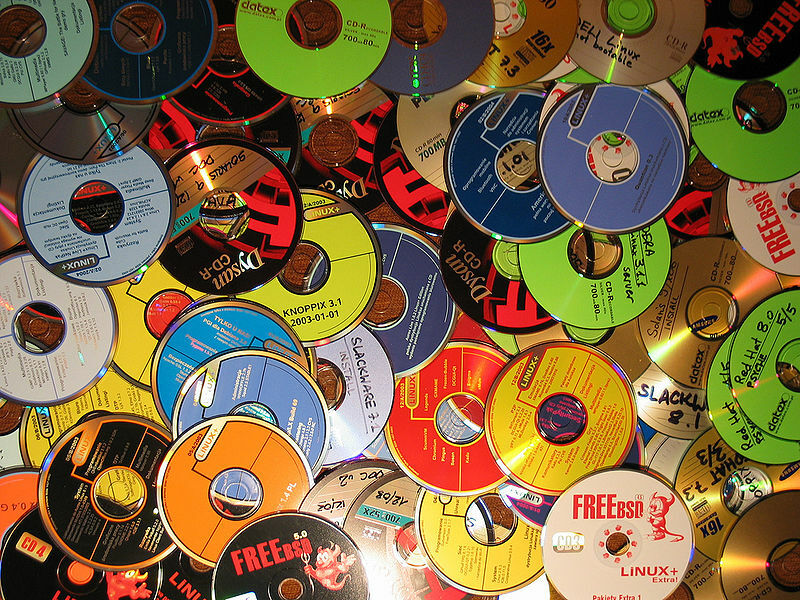 CDs and DVDs--if they have data, recycle. If it isn't sensitive, offer on Freecycle or free on Craigslist. You never know what someone may want them for...art, reuse. If they are media, sell on Amazon/Half.com or offer for free on one of the previously mentioned sites. Online services such as Greendisk offer recycling. Having never used them, I can't vouch for what they do, but it's an option to try. Batteries--Aside from public collections such as DC's, many electronics manufacturers and retailers accept rechargeable batteries for recycling. Also, Radio Shack accepts many types of batteries (lithium ion and that sort, not alkaline) at their stores. Photo by Maciej Bliziński from Dublin, Ireland on Wikimedia Commons, under the CreativeCommonsShareAlike2.0 license. Hey, Congrats on the 4 book sales. You are four ahead of me! Thanks! It helped that they were foreign language...those seem to draw in more customers (often college students) looking for bargains because they're always expensive. And, they tend to get more $$, like text books! Only one was in English! I brought old laptops to BestBuy to recycle. They charge $10 but then give you a $10 gift cert for a future purchase, so basically the recycling is free if you ever plan to buy anything from BestBuy.